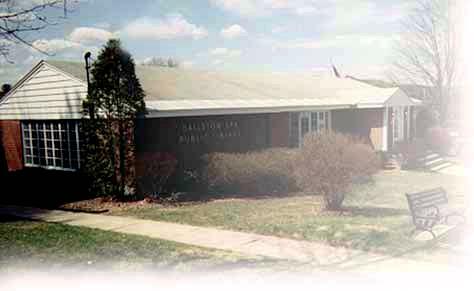 The Ballston Spa Public Library was chartered in 1893 by the State of New York, to serve the residents of the village of Ballston Spa. It existed in various locations throughout the village, until a permanent home was built for it in 1959. An addition was put on in 1971. Then in 2005, the library had been remodeled. 2008, an elevator was installed. The current building is two stories, which is fully handicapped accessible. The Village of Ballston Spa now has approximately 5,556 residents, and is the county seat of Saratoga County. Today only about 1/3 of the people who use the library are village residents. Another third reside in the adjacent township of Milton. The remainder come primarily from the townships of Malta, Ballston, Galway and Charlton. Between 60 and 90% of library funding still comes from the village in any given year. The towns of Milton and Charlton are regular contributors, as is the Ballston Spa Central School District, via budget proposition. A small amount is received annually from Saratoga County.